The process of removing glass will always start with removing the broken glass first before proceeding to the actual glass replacement procedure. Always wear protective gloves to safeguard your hands. Carefully remove the glass from the window. Some parts will be easy to remove, while others need much effort. Work your way until the very last piece of broken glass comes out of your window pane. Once your window pane is free from broken glass, it’s now time that you reglaze it. Use a small wire brush to clean it and remove any residue. If the window is old, apply linseed out with your brush. It will restore the old wood and condition it to bond with the glaze. 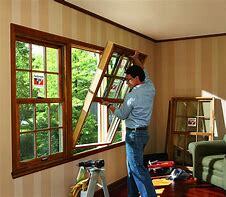 After your window pane is all set, you should determine the exact measurements of the area that will be glazed. Record your measurements and present them to the hardware store. The glass you order should be as 100% precise with its dimensions. While at your local hardware, buy a package of push points. These are small triangles that hold the pane in place when you position it onto your window pane. Just push those points into the sides of the pane’s muntin or glazing bars. For a smaller pane of glass, use two points on each side of the glass around all four edges. Hold your putty knife at an angle and smoothen out a bead of putty in one motion to get an even line. Once it turns dry, you can then paint it. To keep your glass shiny and bright, do not clean when the sun is shining on the window. It will cause the cleaner to dry quickly, leaving streaks of white patterns. Congratulations! You’ve successfully replaced your window glass. Replacing glass isn’t as hard as it seems. All you need is the right method. Hopefully, this guide will help you.